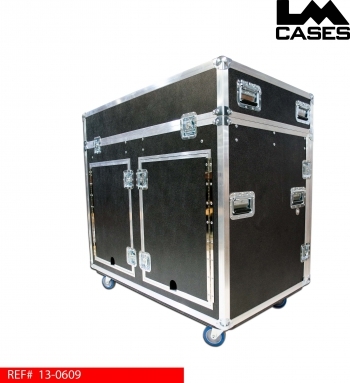 This case was designed for Digerati Audio Visual Systems. The case is designed to be used for fixed installation applications where the workstation needs to be removed from a closet and plugged into a house PA system. The case features dual 14 space shock mounted racks below the console, the racks are accessed by 2 trap doors on the rear of the case. One of the design goals of the project was to leave the rear trap doors closed during operation to provide a cleaner look. 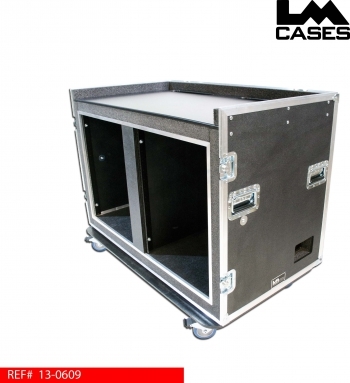 The rear trap doors feature small "mouse holes" on the bottom to allow cables to be plugged in with the doors closed. The LM Cases Custom Integration department provided a custom panel with a Hubbell power inlet and a Cat5 input for the digital snake. 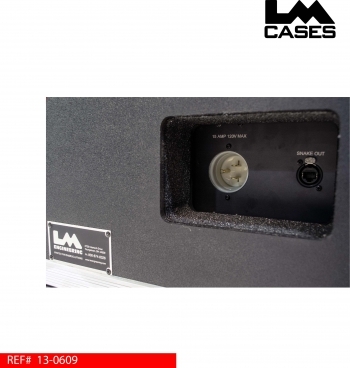 The panel is deeply recessed into the case so that passers by can not easily knock a cable out. 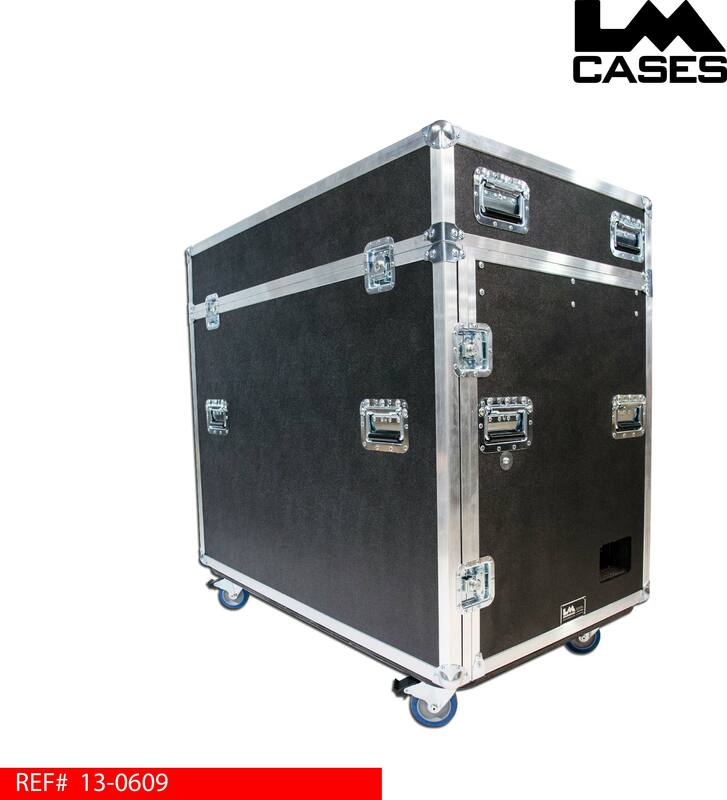 The exterior case is built out of 3/8" plywood and featured deep recessed handles and 4" Colson casters. Special thanks to Digerati AVS!